In 1865, the City of San Francisco opened a school in a rented building on the Ocean House Road (today’s Ocean Avenue) near the intersection of Junipero Serra Boulevard. Truly a remote outpost of education, the one-room Ocean House School accommodated just one teacher and from between 12 to 67 students at a time, sharing a handful of desks, arranged around one stove. 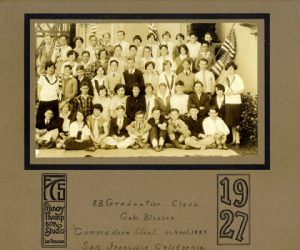 For almost fifty years, mixed classes of students ranging from 2nd to 10th grade were educated at Ocean House School. 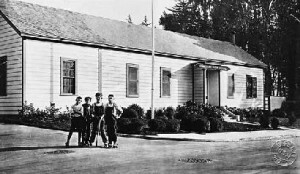 Around 1911, the school expanded slightly and became the first Paul Revere School. After the Twin Peaks Tunnel opened in 1918, the school district made plans for a large modern building, named for Commodore John Sloat, to serve the rapidly growing neighborhood. 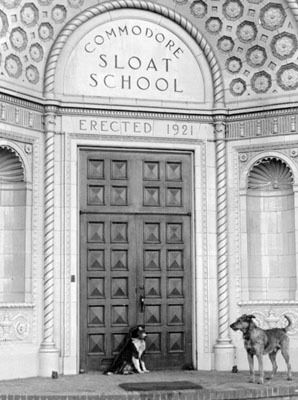 The City officially completed Commodore Sloat Elementary in 1922. 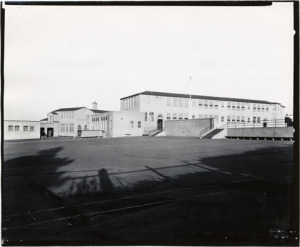 The new Commodore Sloat school building, with Junipero Serra Boulevard in front, 1927. 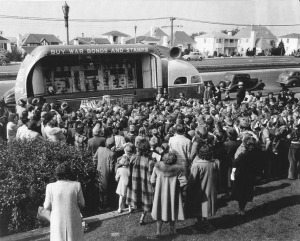 War bond sales in front of Commodore Sloat School in the 1940s. Junipero Serra Blvd. 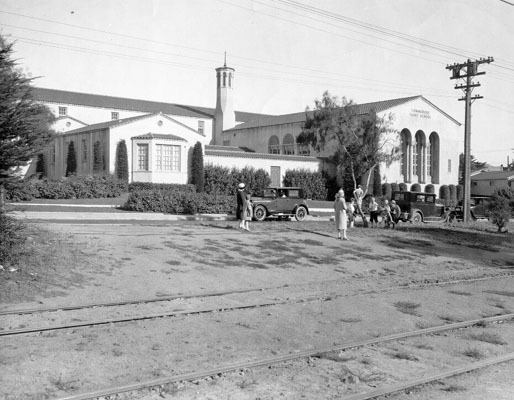 appears behind, paved now, as compared to 1927 photo above.